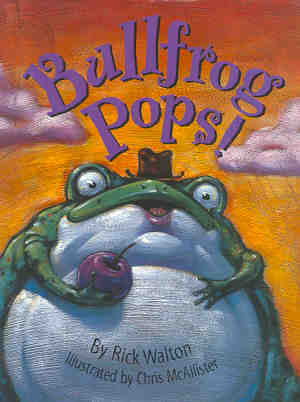 Perfect Picture Book Friday: Bullfrog Pops! Synopsis: (from author’s website) From the author of the “hopaway” hit Once There Was a Bull…(frog) (my review of Once There was a Bull…(frog)) comes this tale of mouth-watering proportions! Last seen hopping a … stagecoach and finding his hop, our hero is now on an eye-popping eating binge trying to cure his insatiable appetite. Woven through the western town of Ravenous Gulch, the story leaves a cast of many hopping mad. However, just as things look bleak, transitive and intransitive verbs turn the tables, taking Bullfrog on another adventure. As Bullfrog’s appetite and waistline grow, the townsfolk can’t help but gather … food for Bullfrog. Resources: Bullfrog Pops! is all about verbs, and Rick Walton has excellent extension activities on his website. 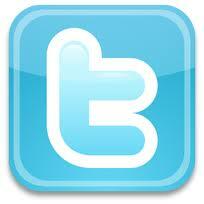 Find ten suggestions HERE. And, HERE is a list of verbs that can be transitive and intransitive. Since Bullfrog ate everything he saw, Rick has nursery rhymes with food HERE. Why I Like This Book: This is the third Rick Walton book I have reviewed. Wordplay is one of my favorite things, and he does a great job with it in his books. His books are a fun additions to language arts curriculum. 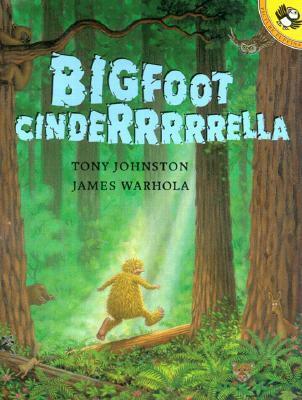 The book keeps the reader guessing with each page turn, so it is a great read aloud.